My husband and I just celebrated our 11th anniversary this past Saturday. When we spoke those vows of “for better or for worse” eleven years ago, we never dreamed that the “for worse” would mean saying a temporary “good-bye” to our sweet Heaven-born Nathaniel. God was so gracious and loving to us through the days and weeks that followed. His peace is continuously with us as reminders of our loss come before us still. Nathaniel’s due date is still a little over a month away and I know that day will bring more tears, yet even more of God’s peace! In the difficult moments that came after we learned that our son had gone to be with Jesus, my husband and I spent time crying and praying. We are thankful for the moments when even though we don’t know what or how to pray that the Holy Spirit is there with us interceeding for us with “groanings which cannot be uttered.” (Romans 8:26) God gave my husband a strength that I could lean on through those days that followed, and this continues. When we were in the hospital we were given opportunity to spend time with our son. This was truly one of the hardest times in our lives, but a time we would not trade for anything! In it we knew that precious peace that passes all understanding! We got to hold our son, our little Nathaniel, and sing to him and read Scripture and talk to him and tell him the things that were on our hearts. Even though he wasn’t “there”, being able to do these things helped us, and reading the Scripture reminded us that he was living those beautiful truths right now! Someone once told me that I would not be able to think of my son without thinking of Jesus and I have found this true over and over again! In the familiar passage about the rapture in I Thessalonians 4:13-18, I wrote Nathaniel’s name in the margin because he is one of those “which sleep in Jesus”. This passage has a more intimate meaning to me than it ever did before! 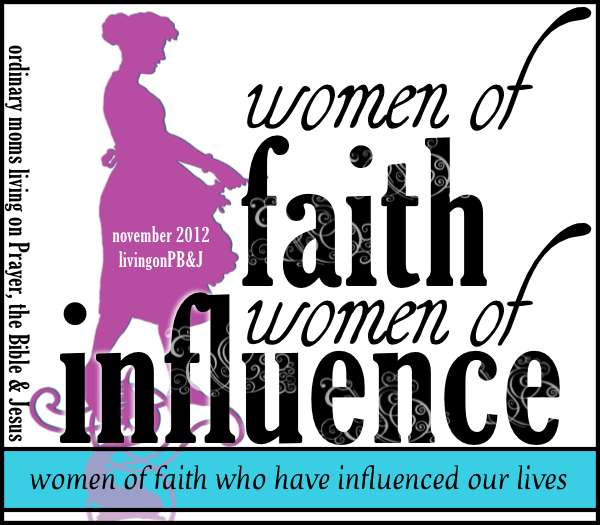 Categories: as a woman, being wife, encouragement, learning from our children, life lessons | Tags: babies, encouragement, love, prayer, trusting God | Permalink. The other day I was looking at my daughter’s hands. They are so pretty! I had painted her little fingernails for church, and she was wearing a bracelet. She was all dressed up, but I was drawn to her hands. Right now, she plays doctor, dolls, she digs in the dirt with her brothers. She put those fingers into a bag of flour the other day when I was out of the kitchen, and poured it all over her lap. And laughed! She once painted pink nail polish all over her bedroom during naptime with those beautiful little fingers. The cedar chest still has that pink stain. She loves to get into my makeup when I’m not looking, and she uses those hands! 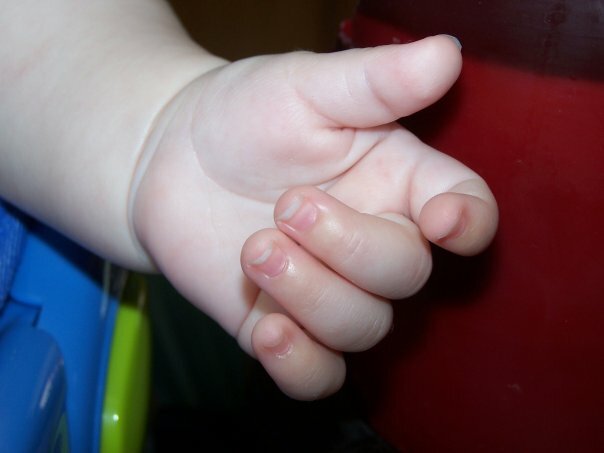 While I was looking at those pretty little fingers, a stillness came over my heart. Those hands are going to have an important job someday. Maybe they will be the hands of a wife, cooking dinner for her busy doctor-husband. Maybe she will be the one with the doctor’s hands, saving lives. Maybe she will carry the gospel to the jungle, or the desert. Maybe my daughter will be someone’s mommy, their entire world. Maybe she will be a counselor who saves someone’s marriage or even their life. Maybe she will work with the disabled, or with the poor. I have no idea the jobs God has given my daughters to do. Or my sons. But may God help me use my hands to raise my children for Him! They have big jobs to do too! 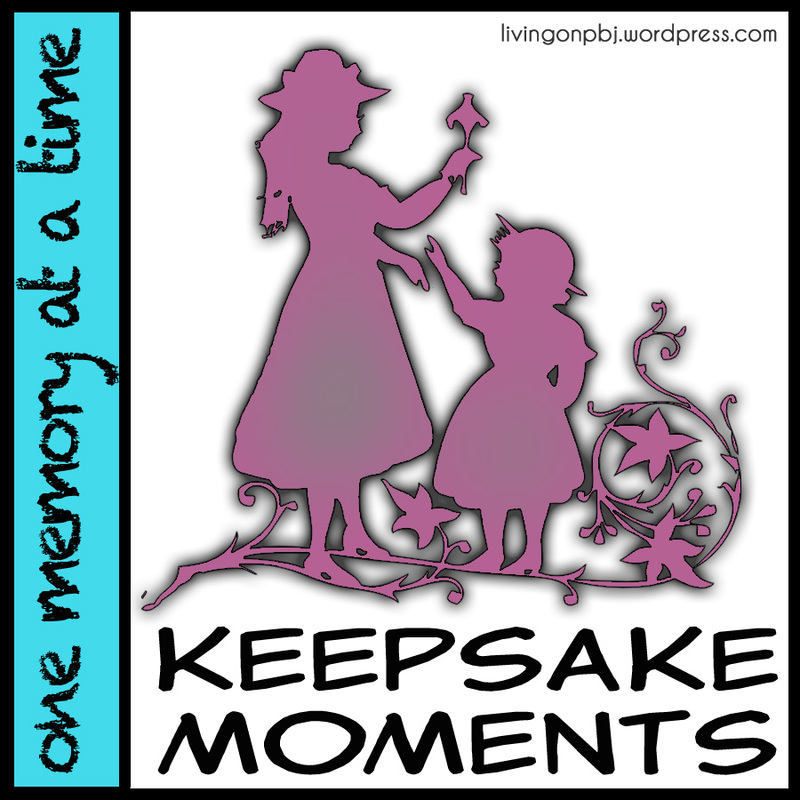 Categories: being mom, Joy | Tags: babies, hands, inspirational | Permalink. For as long as I can remember, I just wanted to have my own family and my own babies and to take care of them. That desire was always there….but it got repressed. When I was in high school, I got a piece of mail that advertised adoption. The letter informed me that “age wasn’t a problem”. (Of course, they meant that you could adopt even if you were older). I took it to mean that I could adopt while I was in high school. Ask my mom–I had it all worked out. I was going to adopt a baby (while I was in high school). I was soooooo upset at her that she wouldn’t even consider it. Yes, I was that child. I loved kids, especially babies. I was so happy when my first nephew arrived. I couldn’t wait until I had my own. However, I also realized that children came with a husband and, after a few rocky relationships, I decided I would just be family-less. Thus, that desire got pushed down farther and farther. Those growing-up years were really full. I volunteered at the library, was a Candy Stripper at the local hospital and worked as a shampoo girl at a hair salon. I played violin in a county orchestra. I had TONS OF FRIENDS, lots of parties. I went to college, working as a telemarketer (don’t hold that against me) and as a secretary for that college. I went to Europe three times and spent one summer in Africa. I coordinated a ministry team that traveled around the States. I counseled teenagers at a Christian camp four different summers and then, after graduation, became a school teacher. Really, I had a FULL life. During that whole time, my parents prayed for me. They prayed that I would find a friend whom I could love as my future husband. They prayed for that family I had shut out of my mind and heart. To cut the story short, my husband and I met, were friends for three years before we knew we were m eant for each other, got married, had baby #1 two years later and then, another two years later, had baby #2. That was a lot of introduction to say this: In all my years, in all my jobs, in all the craziness of my life, I have NEVER had such an amazing job. I LOVE being a mommy. THIS is my favorite job. I love that God gave me my two favorite kids to be MY KIDS. I love the funny conversations my son and I have. I love the giggles and kisses I get from my daughter. I love coloring with my son. I love to tickle his belly. I love stomping in puddles with my boy when it rains. I love making my daughter giggle. I love the way my daughter chatters. I love dressing my daughter up in bows and frills. I love the way our family hangs out together. I don’t know where you are in life, but I want to encourage you to think about something. God created most of us to be help-meets, to be wives and mothers. There is no 2nd place or shame in that. Don’t let the world tell you that. We are our sons’ first love. We are our daughters’ first best-friend. We have the best job out there. Don’t let anyone tell you otherwise. Is it the hardest job I’ve ever had? Yes, probably. Is it sooo worth it? YES! Let my husband handle the workplace, the drama and stress. Give me the little fingers and toes. Give me the giggles and hugs. We are creating the next generation. What a privilege! Give me mommy-hood because the best bonuses come in X’s and O’s. Categories: Uncategorized | Tags: babies, baby, blessings, children, family, husband, influence, joy, love, mom, mother, motherhood-moments, parental love, ramblings | Permalink.